I’m pretty excited about this recipe. I’ve always loved a good spinach quiche at coffee places but just never got around to actually trying my hand at one. 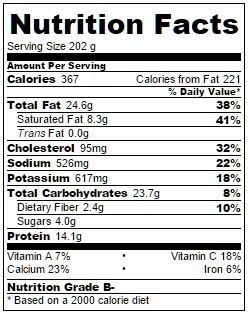 So today we’ll be trying a breakfast version, combining delicious hash brown shreds to make the crust in lieu of a traditional pie crust. It’s like a bigger, quiche version of hash brown egg nests! It’s good hot or cold and you can even make it the day before. Because no one is gonna muck about the kitchen for an hour in the morning for breakfast. At least I won’t. So this is good for breakfast made ahead of time, or good for a brunch and serves a pretty good amount of people. 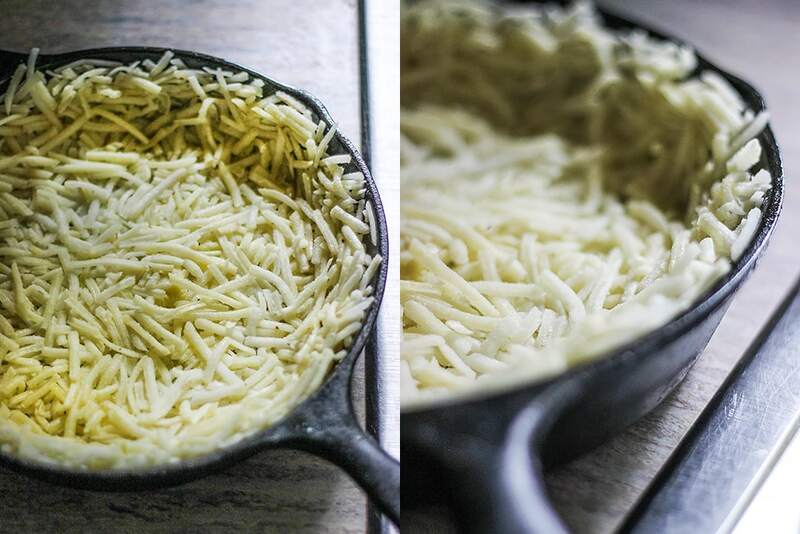 Grease the pan before packing it tightly with the hash brown mixture. 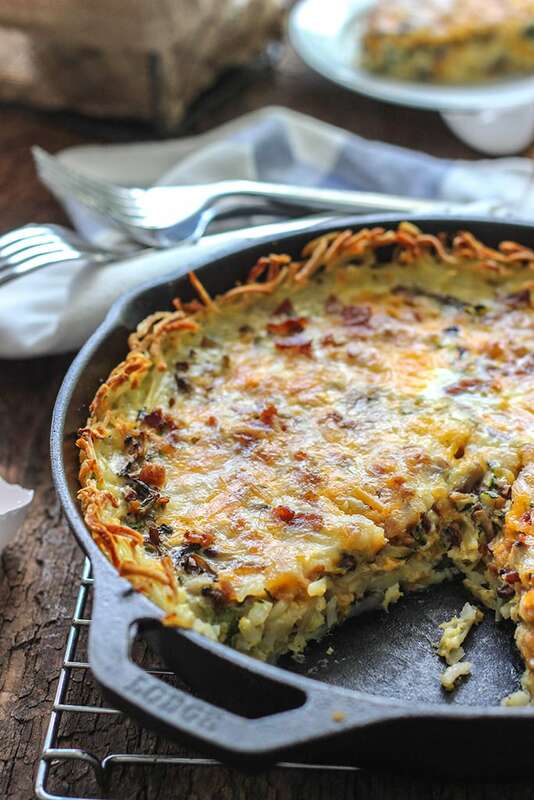 You’ll want the hash brown to resemble a pie crust so pack it on the bottoms and the sides with your fingers. It’s also handy to use the back of a spoon pressed along the edges to lift up the sides a little more. 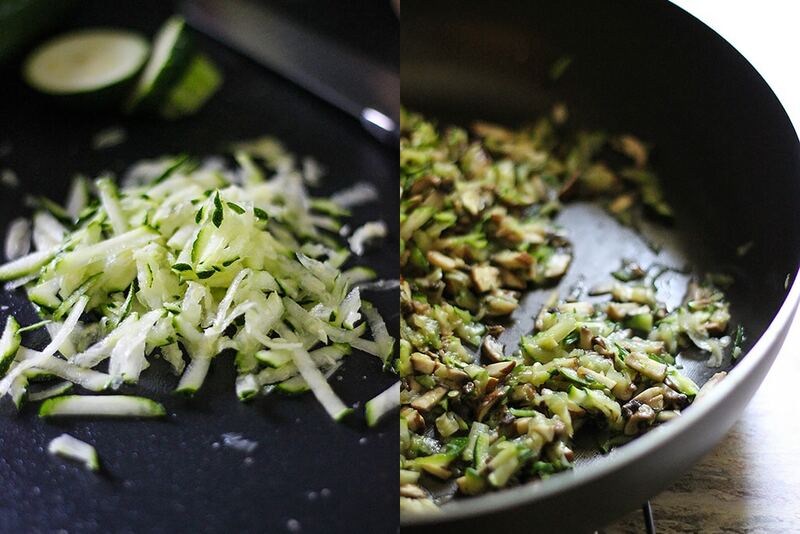 Not much oil is needed to saute the zucchini and mushrooms. Don’t worry if the mushrooms look like they’re too bulky to fit in the quiche, it’ll cook down and release some liquid. Once the veggies are cooked down, drain off excess liquid. You’ll want the veggies nice and dry so they don’t dilute the custard. You should end up with about two cups of veggies once they’re cooked down. Once the hash brown crust is all browned, spread a layer of cheddar cheese along the bottom and top with the veggies and bacon bits making sure to spread them all out evenly. Then top it again with more cheese for a really rich quiche. I went with one and half cups of cheese and divided it into two for the bottom and top. 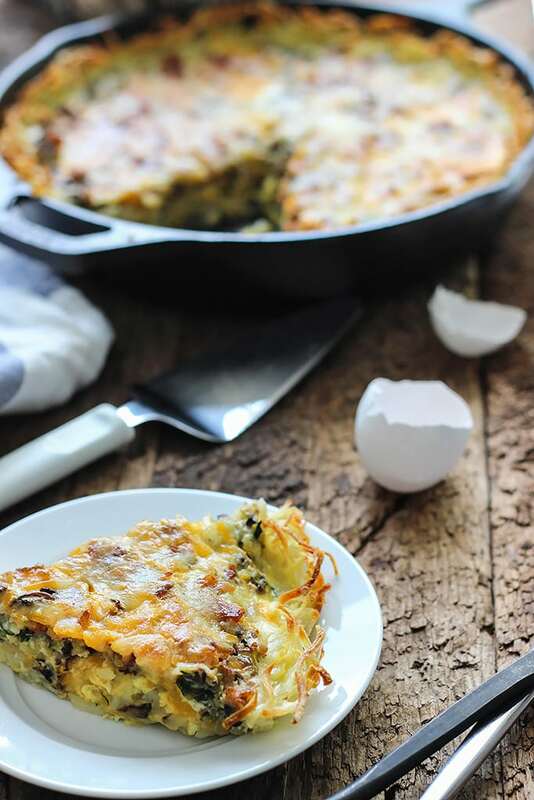 For a richer quiche, use two cups of cheese or use one cup for a lighter version. Then you make the custard by combining the eggs and milk with salt and pepper to taste. Whisk, whisk whisk until it’s frothy! 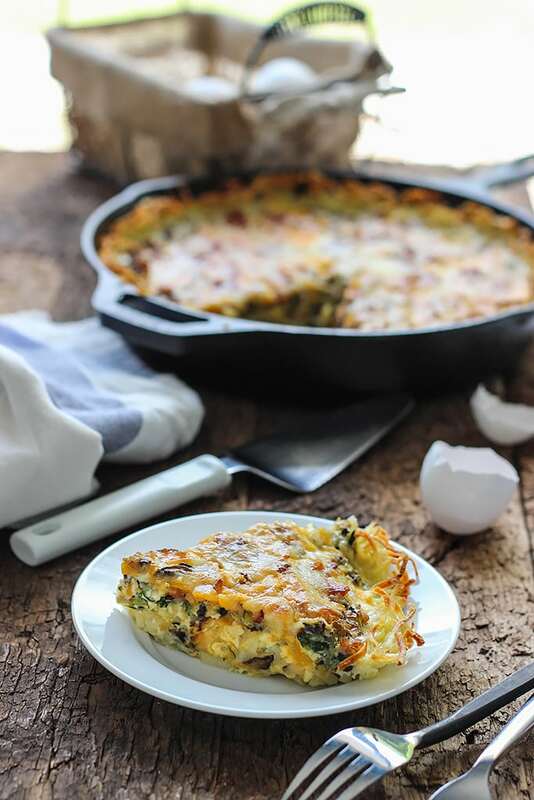 A good rule of thumb for a nice quiche is to have two eggs to one cup of milk. 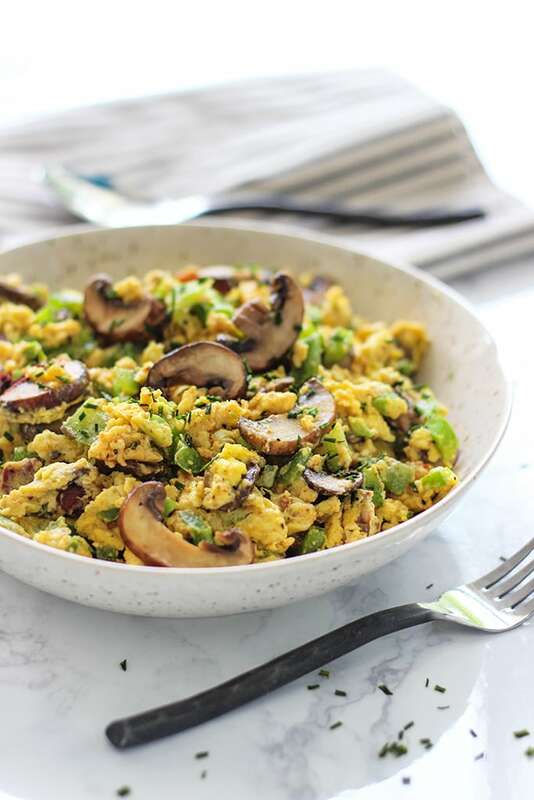 I used large eggs for this recipe. Pour the custard over the fillings and you’re ready to bake! Baking will take some time to allow the eggs to set. Bake it until a butter knife inserted in the middle comes out clean. Let it cool down before slicing. It’ll need time to set. The good news is this breakfast quiche is really versatile. You change your fillings as you like or with whatever you have leftover in the fridge. Other ideas would be to use bell peppers, leeks or spinach. Just make sure the fillings are dry and amount to about two cups to not overcrowd the custard filling. And that’s it! Happy brunching! Hi Farah! 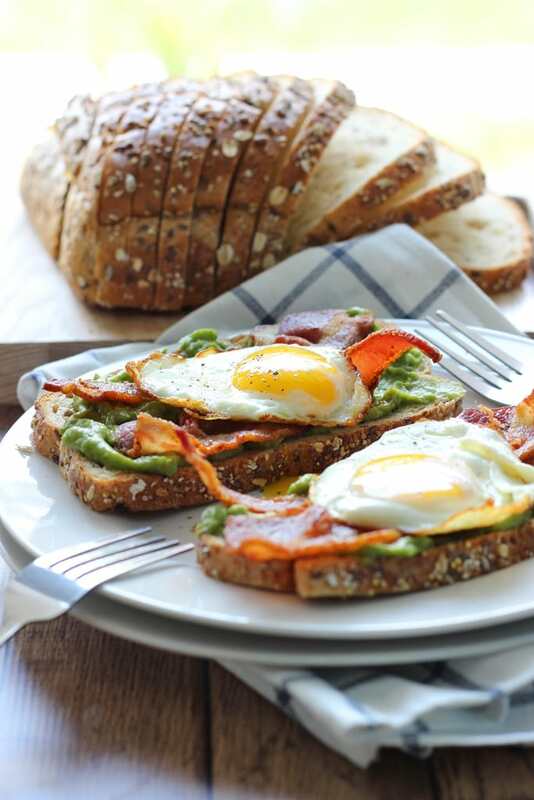 This would great for a holiday breakfast/brunch! The possibilities for swapping ingredients is limitless. Ham and asparagus with Gruyere cheese would be tasty! I love the potato crust! I hope it turned out well for you! 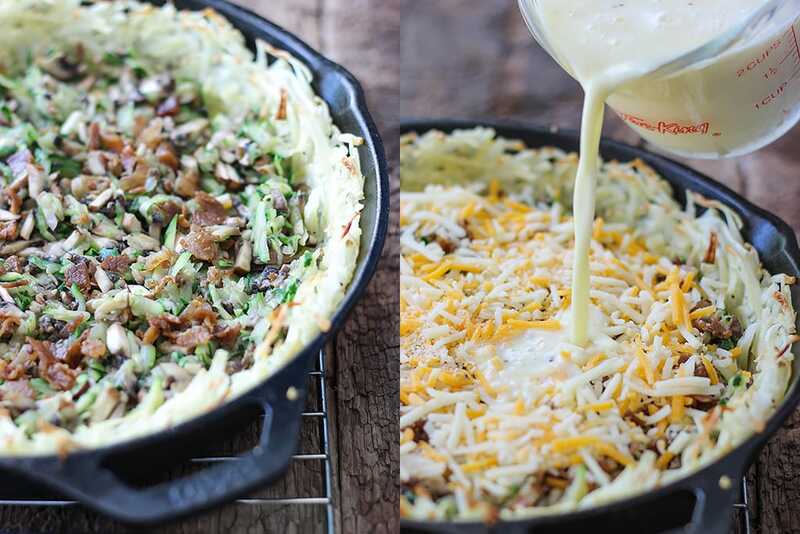 I’ve been thinking about the potato crust and I think another alternative for an even crispier one would be to pan-fry it on the stove top on both sides in a 12″ skillet. Then transfer that to a 10″ skillet oven-proof so the sides are curled up. But that’s if you don’t mind the extra dishes. Appreciate it, Jessica. Good luck if you ever do try it and happy noms! This quiche is marvelous. I made it yesterday and it is gone! Passed on the recipe to my friend and then my daughter, it was THAT good. This will be added to my frequently made favorites. Thanks so much! Must have hash browns for breakfast! 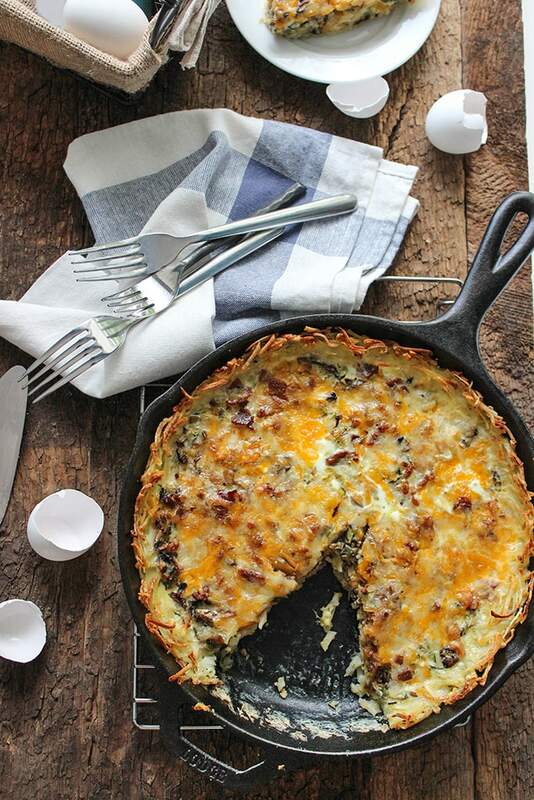 Instead of using an oven-safe skillet, could you also use a pie dish to make this quiche? Absolutely! Just make sure to grease it beforehand! Well then, good luck Amna! If it doesn’t work out, don’t fret, it’s all about trial and error in the kitchen and learning from experience. I’ve had my fair share of mess ups.I hope you enjoy the recipe! First, I wanted to let you know how much I absolutely LOVE this recipe. It is so beautiful and delicious. Second, where did you get the table you took these pictures on. I MUST have it! It’s absolutely incredible! Thank you, Matt! I hate to disappoint you but that table isn’t really a table, it’s a board prop for food photography. Just one of the tricks we do in the trade cause we need so many kind of backgrounds it’ll take a really big room to fit all them if they were all tables! That being said, you might have some luck searching for tables made out of barn wood cause that’s what my board is made out of! Hope this helps! Looks delicious! If made the day before, how do you recommend reheating it? Reheat the slices you want to eat in the microwave, about one minute or so until it’s nice and hot. You could also bake it to reheat, but it’ll take longer. Microwaving might make it a little soggy, baking will crisp it up more. Can I freeze these slices so my kids could microwave for a fast morning breakfast? I personally haven’t done it but a quick search says you can. So I’ll defer to the wisdom of the internet. Here’s a good guide on various ways to freeze it. For microwaving it, I’m not sure if it should be from frozen or thawed first, so I suggest trying each out or going with your discretion. 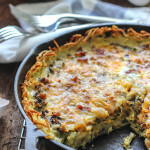 Brilliant idea to use hash browns as a crust ! Love it and I am going to give it a try this weekend . Hope you enjoyed it, Roshni! Could you use hashbrown rounds instead of shreds?! My husband is not a huge fan of shreds, but does like the rounds! Can’t wait to try this! Also, how would you go about this recipe to include bacon in it? Cook bacon beforehand then add to quiche and bake?! Any advice here would be helpful! Can’t wait to try it! You could try it with hash brown rounds. Arrange them as a bottom layer and make sure they cook fully during the blind baking stage before you add in the filling and bake it all again. The rounds will be slightly thicker so will probably need more baking time. Also make sure they fully cover the bottom and you coat it well with a cheese layer so the custard doesn’t pass through to the bottom and stays on top. As for the bacon, cook it beforehand, chop it up into bits then add it along with the zucchini and mushrooms in step 6. Good luck, Emma! I am curious what your recommendation would be for temp/time to reheat in the oven? I know it easy mentioned it would take longer but I am bringing as a potluck dish and would like it warm. Any suggestions? It is baking now and smells AMAZING. I would reheat it at 325 degrees in the middle rack for about 10-15 minutes and keep a watchful eye on it after the 10 minute mark to make sure it doesn’t brown on top too much. I have made this similar quiche and wanted to share with you. Note: This can be prepared the day before serving, just cover with foil, place in refrigerator, then reheat for 15-20 minutes. Let it cool 10 minutes to serve easier from the iron skillet. 1. Mix hash browns, olive oil and salt and pepper to taste in a mixing bowl. 2. Heavily grease a 10″ iron skillet with olive oil on both the bottom and sides. 3. Add the hash brown mixture, pressing down to pack it tightly on the bottom and sides forming a pie-like crust. Pan fry it for 5 min. on medium, just until it is lightly formed. 4. Then bake at 375 degrees until the edges have browned, about 10 more minutes. 5. Combine meat and cheese, and once the hash brown crust is ready, sprinkle along the bottom of the crust. 6. Whisk eggs, cream, milk, mustard, and salt and pepper to taste until frothy. Pour egg mixture into the crust. 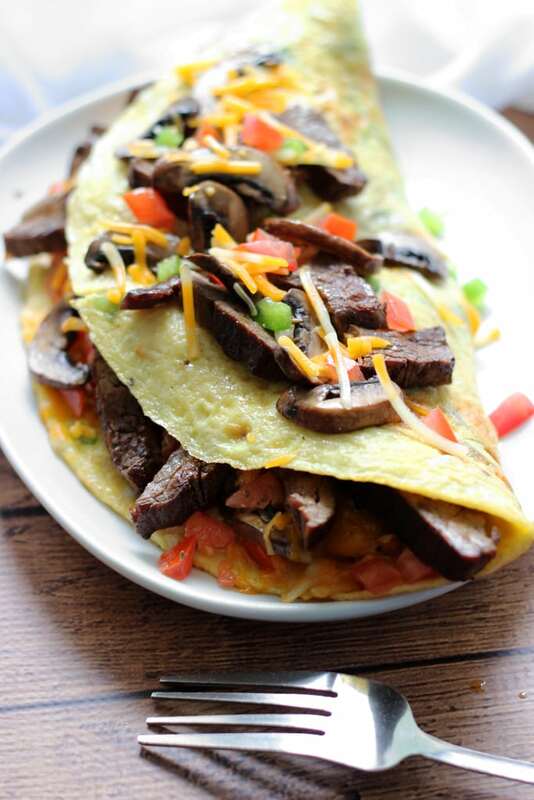 If excess, keep for an omelet. 8. Bake for 40-45 minutes, knife inserted in the center should come out clean. Let it cool for at least 10 minutes before serving, and it will come out easier to serve from the iron skillet. 9. Can be made the day before, refrigerate it. Preheat oven to 375, bake covered for about 15-20 minutes, let stand 10 min. before serving. Thanks for sharing, Judy. Mustard is an interesting addition! Do you brown the hash browns before putting in pie plate if you do it that way? Also should they be thawed? I personally don’t own a pie plate but I think you should be fine just blind baking it the same way as the recipe does it in a skillet before adding the filling and baking again. Yes they should be thawed. Just so they are pliable enough to shape around your pie plate and not clumpy. Hope this helps! 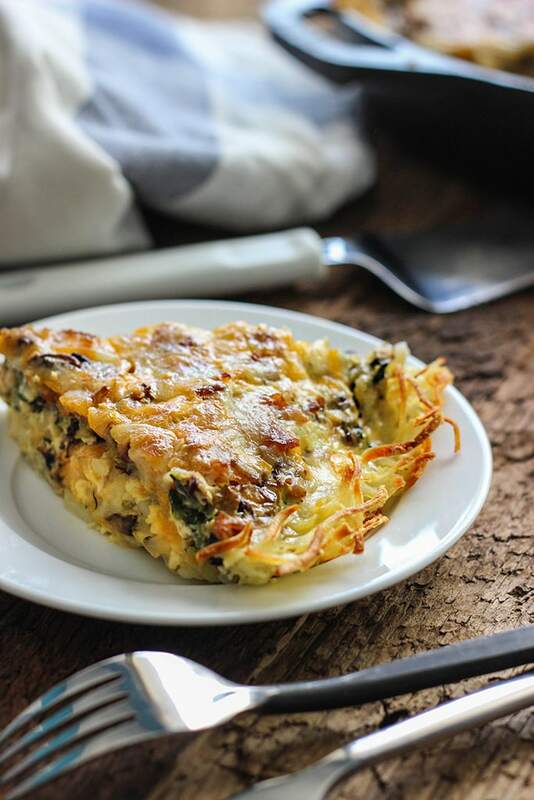 Omg, I absolutely love your hash brown quiche recipe. I’ve made it twice in the last 2 weeks and served it yesterday at my “girlfriends brunch” that I hosted at my home. AMAZING! So delicious and even better with hash browns then having to make a crust! Ty for a spectacular keeper of a recipe. 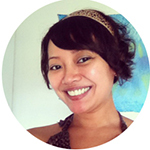 You’re very welcome, Leslie! Hey, thanks for trying it out again and again. Always love hearing a recipe worked well for someone!